Use the iPad Dock Connector to DVI Adapter to connect an iPad to your television, projector, or DVI display. Then see your videos and slideshows on the big screen. 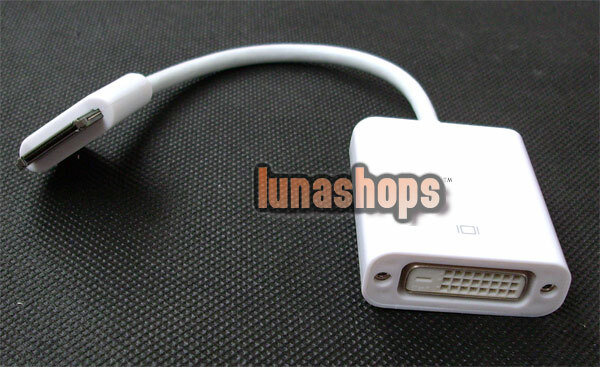 The Apple iPad Dock Connector to DVI Adapter connects to your iPad or iPad Dock via the dock connector and to your projector or display using the DVI adapter. Displayport 1.1 compliant receiver offering 5.4 Gbps over 2 lanes. Support audio output from DVI interface. Compliant for iPad/iPhone 4g/3gs/3g/iphone/ iPod 5th etc. 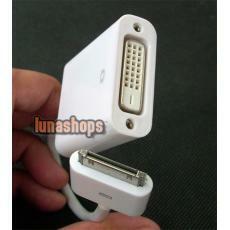 Item: 30pin to DVI Convertor. Apple 30pin source input port: 1. Video device output port: 1. Apple 30pin source port connector: Apple 30 pin (male). 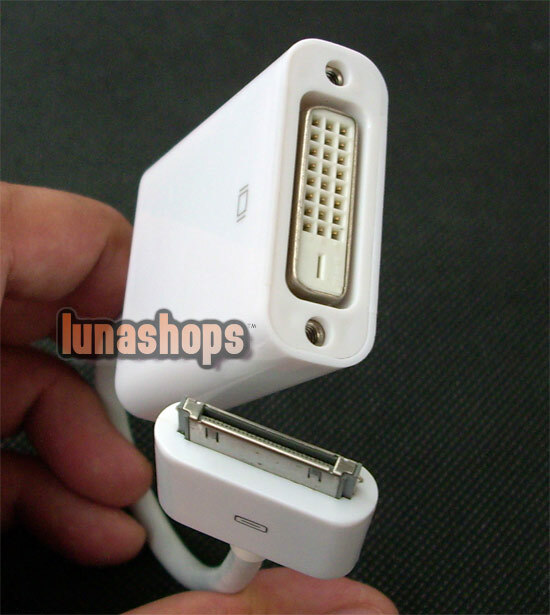 Video device port connector: DVI. Video band width (bps): 5.7G link. Single link range: Max: 1920*1200.